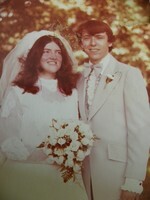 Mary born 1977 ... LPN ..
moved to McGuire AFB, NJ..
husband retired moved back to NY..
How did you discover your one true love? Do you believe that everyone has a soul mate? Which statement best describes your outlook on love? SUSAN COONRADT JENKS has a birthday today. SUSAN COONRADT JENKS updated profile. View.